Fireworks are synonymous with 4th of July celebrations. This month, we recognize our new member: Jake’s Fireworks. Jake’s Fireworks is the world’s largest importer of fireworks in the world, family-owned and operated since the Marietta family started selling fireworks in their general store in the late 1930’s. Our main brand of fireworks that we sell is World Class brand fireworks that is known for quality and innovation in consumer fireworks. What safety tips can you offer to first-time/new fireworks users? Couple of tips for Georgians that may be new to the bigger fireworks – never stand over a firework while lighting and ABC – always brace cakes. Multi-shot aerial fireworks are called cakes and it is a good idea to place on a hard surface and brace the sides with bricks or cinder blocks to ensure stability. For more safety tips, please click here. What fireworks will “wow” the family and friends? 1) Excalibur Artillery Shells. These are the number one selling artillery shell fireworks of all time. These patented maximum charge shells offer the loudest biggest breaks in consumer fireworks. Watch the video and see for yourself. 2) One Bad Mother. This is a 16-shot aerial firework that has been a top seller for a decade. The breaks are huge gold willows that cover the sky. For a list of the customer-picked top 10 fireworks from last season, click here. 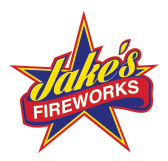 For a special time, Jake’s Fireworks is graciously offering DeKalb Chamber members with a discount for their fireworks. Click here to take advantage of the discount. Join Jake’s Fireworks for their ribbon cutting on Wednesday, June 29 at 5170 Stone Mountain Highway, Stone Mountain, GA 30087. The ceremony begins at 10:30 a.m.